Gothic metal band Shadowgarden consists of two musicians otherwise active in Draconian, and are helped out by two further members of that very same band. As Draconian are one of the most interesting gothic bands around, one might wonder why Ashen has not been released as one of their albums, especially since their last effort Turning Season Within came out already three years ago. Nonetheless things sound a little wilder with Shadowgarden. The gothic influence is still omnipresent, but powerful and catchy metal riffs play an equally important role. If you really need to compare their music, you might come up with Amorphis, Grave Digger and Paradise Lost. The songs are mostly played at a brisk pace but never try to be overly rough. The male vocals are occasionally joined by a female voice, which works especially well on the upbeat With Love And A Bullet. Only the concluding Slowmotion Apocalpyse, doing justice to its title, is slower and would have fitted nicely into a Draconian album. There are no weak tracks on Ashen, yet the band is putting too much weight on traditional elements, making it hard to make out new impulses. Ashen is something of a double-edged sword. 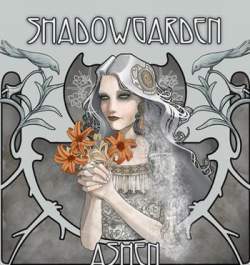 It’s definitely not a bad record, but one may still wonder what Shadowgarden want to achieve with it, as everything they do here has been done already many times before by other bands. I’d prefer if they put their energy back into Draconian.